A government shutdown on Tuesday (Oct. 1) would force NASA to cease most of its operations and furlough the vast majority of its workforce, space agency officials say. 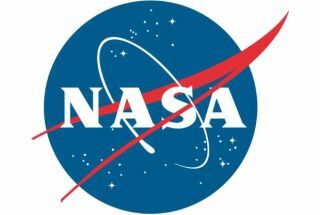 Fewer than 600 of NASA's 18,000 or so employees would likely keep working through a shutdown, with the aim of ensuring the safety of human life and the protection of property, according to a plan the space agency submitted today (Sept. 27) to the Office of Management and Budget. The International Space Station (ISS) and its six crewmembers would not be hung out to dry. "To protect the life of the crew as well as the assets themselves, we would continue to support planned operations of the ISS during any funding hiatus," the NASA plan states. "Moreover, NASA will be closely monitoring the impact of an extended shutdown to determine if crew transportation or cargo resupply services are required to mitigate imminent threats to life and property on the ISS or other areas." Likewise, currently operating scientific spacecraft would be maintained and the data they return home safeguarded. But the outlook would not be good for future missions. "If a satellite mission has not yet been launched, work will generally cease on that project," the shutdown plan states. "The extent of support necessary and the time needed to safely cease project activities will depend on whether any of the activities are of a hazardous nature (e.g., parts of the satellite may need to be cooled)." Such contingencies will go into effect if Congress fails to fund the federal government beyond the end of the current fiscal year, which ends Monday (Sept. 30). The Senate and the House of Representatives so far have not come together on a spending bill, with the major bone of contention being funding for the Affordable Care Act, also known as Obamacare. The Republican-controlled House wants any emergency spending bill to strip funding for Obamacare, a move opposed by the Democrat-controlled Senate. Other fiscal problems loom on the horizon as well. Treasury Secretary Jack Lew has said that if the debt ceiling is not raised by Oct. 17, the federal government will likely have to start defaulting on its debts for the first time in the nation's history.